We love road trips. We usually do one long road trip home for Christmas each year, which is usually 8-10 hours in the car. Sometimes we also will head off for the weekend to explore parts of Victoria we haven’t seen yet. These trips are usually much shorter, around 2-3 hours. The key to keto on a road trip is being prepared. 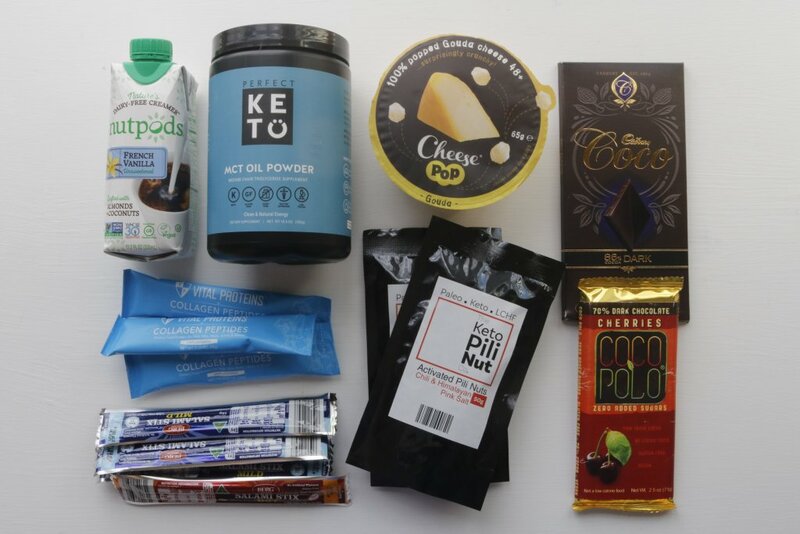 Check out our before you go post which is also part of the Keto Travel Essentials series to find out what can be helpful to prepare before you go. Car snacks are an essential part of any road trip. We like to take nuts, Essentially Keto bars, pork rinds and dark chocolate. If we are doing a weekend trip we would usually head off after work on a Friday afternoon and we would be wanting dinner whilst driving. In this case, we would take a packed dinner with us. This consists of cheese, deli meats, veggie sticks and some dip. We like to have this whilst driving or stop at a picturesque stop along the way for a break. For weekend road trips where we are staying a night or two, we would pre-plan our meals. We may decide to have breakfast at the accommodation one morning and out at a café the other morning. In this case, we take bacon, eggs and maybe some Herman Brot low carb bread with us. Travelling with our tea and coffee supplies is essential. We always have a little bag with all of our favourite tea bags, a jar with Erika’s homemade cold brew and a snaplock bag of Perfect Keto powdered MCT oil. Having these items on hand means we can quickly make up a tea or coffee with some MCT oil if we are feeling hungry and we have no other options. For longer road trips we would have our thermos and some cream with us too. Everything we need to make up a delicious coffee for Erika and a tea for me. It’s important to make sure you keep your fridge items as cool as possible to make sure they don’t spoil whilst travelling. We use a couple of ways to store our food and it will depend on how much we are taking with us, as to what we will use. If we are taking bacon, eggs and meat will tend to use our esky (Ice Box) with some ice in it. It keeps the food and drinks the coldest. If we just have our snacks and maybe some cheese we would use a cooler bag with some ice bricks in it. We also love hot tea. If we are embarking on a longer road trip will take our thermos with us and make hot tea when we have a break. In the past, there was very little you could buy at a petrol station that would have fitted a low carb/ketogenic lifestyle. Whilst the options are still not perfect, they have improved dramatically. Diet soft drinks – It is debatable as to whether they are keto or not. This will depend on your keto and how it works for you. Sugar free sports drinks – Similar to soft drinks it will depend on what sweeteners you consume. Coffee & tea – Most service stations will have at least a coffee machine. We have filled up our travel mugs with hot water from these machines and used our own tea bags. The bigger service centre stops will have a coffee shop, where you will be able to get better quality coffee. This will vary from stop to stop, but we have found overall there will be an option at most petrol stations. Nuts – We have been able to find various nuts including cashews and peanuts. The favourite we have found is from Picky Picky Peanut. These are great as they are flavoured and we feel like we are having a real treat when we find these. You can usually find Nobby’s brand at least. Pork rinds – We have found Nobby’s pork rinds at most places we have stopped at on our road trips. Dan loves the BBQ flavoured ones. Beef jerky – We are not big jerky fans, but we have noticed a big increase in it being available at petrol stations. Watch out for the sugar content and try to choose the lowest carb one you can find. Protein and low carb bars – This is another item we have found has seen a dramatic increase in availability at a lot of petrol stations. We are not big protein bar fans, so have not tried the options available. Watch out for the carbs, as a lot of these are low carb, but not keto. A lot of the traditional fast food options on the road are still very carb heavy, like McDonalds, KFC etc. Having said this the options have improved significantly. This is classed as the “healthy” fast food option in Australia. It is more widespread now with 20 locations on the east coast of Australia. Even though it is a healthier option, it still lacks a keto or low carb menu. Oporto is a Portuguese flame grilled chicken fast food option in Australia. Oporto’s have over 140 locations Australia wide. Be aware of the sauces and marinades at Oporto as they seem to have some sugar. Nandos Is a South African style grilled chicken fast food restaurant chain in Australia. Their speciality is Peri-Peri Chicken. Nandos has over 240 stores Australia wide. Nandos sauces and marinades are a much better keto option over the Oporto versions. The medium and the lemon and herb sauce only has 0.2g carbs per serve. The hot and the extra hot sauces are slightly higher at 1g and 1.9g respectively. You are also able to order it plain, which is 0g carbs. Mexican fast food chains like Mad Mex, Zambreros, Guzman y Gomez and Salsas are becoming much more widespread in Australia. 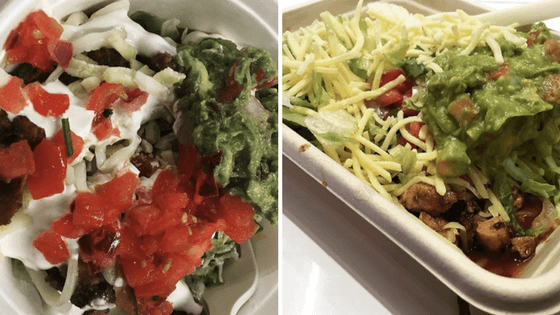 Naked burrito, burrito in a bowl. (Each place will call it something different) Ask for no beans or rice. We will often add sour cream and guacamole. The most available fast food restaurant in the world. McDonalds has become a surprising popular keto option. A lot of people place a burger order and just discard the bun as it can be difficult to get the staff to give it to you without the bun. The beauty of McDonalds is how widespread they are. We haven’t had to resort to using them yet, but we know we would be able to create a keto dinner or breakfast if we needed to. Subway is another fast food option that is very readily available, but would be more of a last resort type option, in my opinion. The options are limited to salads and the ability to get enough fat into that meal may be pretty difficult. Salads – They have 18 salad options using the proteins they have for the subs. Watch out for sauces as they are likely to have added sugar. Try and add fat with cheese and mayo. As you can see from some of the other options above salad tends to become the fall back option when looking at fast food options. The great news about Sumo Salad is they have a low carb and low sugar filter on the menu on their website, which means you can almost find out what salads will be close to keto. Again the difficult thing may be getting enough fat into the salad. Always try and add cheese and mayo to increase the amount of fat in the meal. Grilled beef and haloumi salad. Pepper smoked Tassie salmon salad, you may want to ask for no carrot. Chicken caesar salad, remove the croutons. 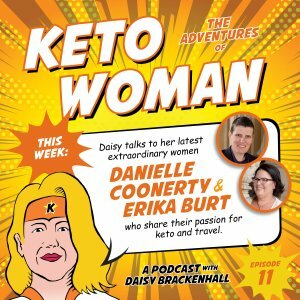 Travelling is our passion and this series designed to encourage people that travelling whilst living a ketogenic lifestyle is possible. Make sure to check out the rest of our Keto Travel Essentials series. 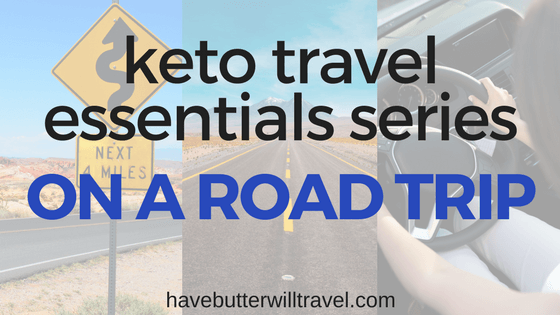 It is now second nature for us to do some preparation into how we plan to keto on a road trip. 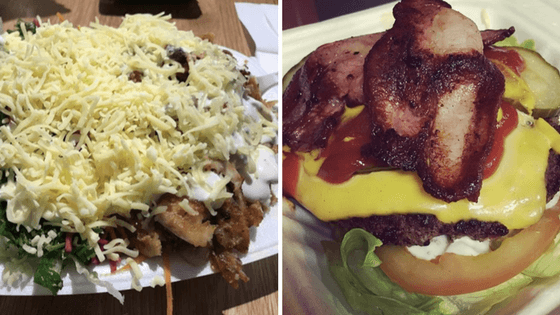 Keto has definitely become a lifestyle for us and it is a consideration we make when planning a trip. 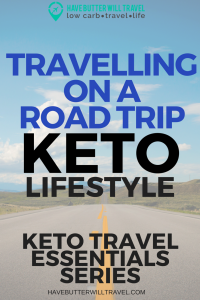 Whether you are on a short weekend road trip or a longer journey you will be able to maintain your keto lifestyle whilst on the road. How have you maintained your ketogenic lifestyle whilst travelling? Email us with your stories or if there is anything we have missed. 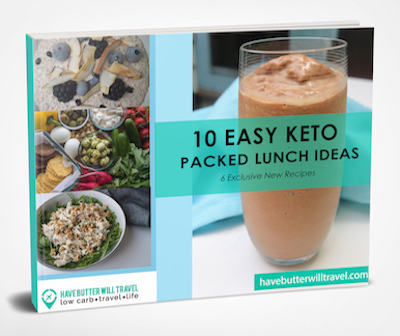 Check out our other keto travel essential posts. 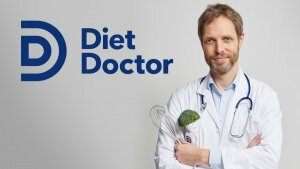 This is valuable information as I will be heading Down Under (well slightly west) to the Sunshine Coast in December and I am always hoping to keep myself low carb as possible since it has taken a long time to get rid of unwanted kilograms, and also hone my eating to be completely free of gluten – I have celiac disease… Thanks heaps. So glad you found it helpful. Let us know if there is anything specific we can help you with. Also, keep an eye on our you tube channel, we are planning a video around a road trip too. 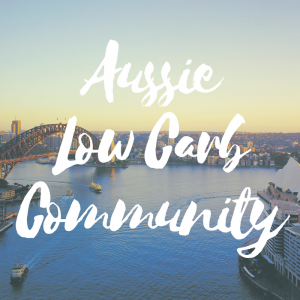 I’ve been in search for someone or some people who have started or are living the keto lifestyle in Australia. I firstly came across your videos via Youtube which then took me to your informative blog! What I was even more surprise with is that you’re both living in Melbourne (my hometown as well!!!). It feels great to be doing keto but particularly having your guidance. You both have given me hope because I love to travel as well but have been afraid to ever since I started this lifestyle. Thank you both so much for sharing your lives, experiences and just being you! If you ever do a keto-meet-up, count me in. Would love to meet you both! Hi Michelle, Thank you so much for your lovely words. We are so glad you found us. We were a little scared about travelling to at first. We have a couple of big trips planned this year that we plan to document on you tube, so keep an eye out for those.